Private Investigator Rock Hill SC - Stillinger Investigations, Inc. Looking for a Private Investigator in Rock Hill SC? If so, Stillinger Investigations provides a team of professional, licensed private investigators Rock Hill SC who have a combined experience of over 50 years of investigative service in South Carolina and surrounding areas. SI’s team is dedicated to meeting your investigation needs and helping you uncover the truth. Counter Surveillance – Our sophisticated technology can identify hidden surveillance equipment and tell you if someone is investigating you. We use the latest in technology and most reliable and cost effective device in the industry, the OSCOR. The OSCOR is designed to detect all major types of audio and video RF transmitters (even frequency-hopping, burst/packet, and spread spectrum) and can be easily used in businesses, homes, garages, vehicles, etc. to pin-point a location of the listening device(s) for removal. Make sure you have a professional like Stillinger Private Investigator Rock Hill SC take care of your needs to be sure you are following the law. Stillinger Investigations is the Best Private Investigator Rock Hill SC! Brian Stillinger is the owner of one of the most prominent private investigation companies in South Carolina. At Stillinger Investigations, we have 50+ years of combined investigative experience and a diverse team with a wide range of backgrounds and qualifications. Let Private Detective, Brian Stillinger, help you in private investigations across South Carolina. 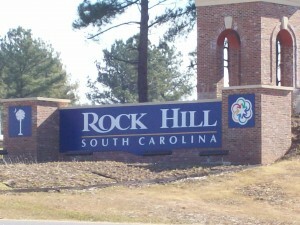 Need more information directly from a Private Investigator Rock Hill SC?